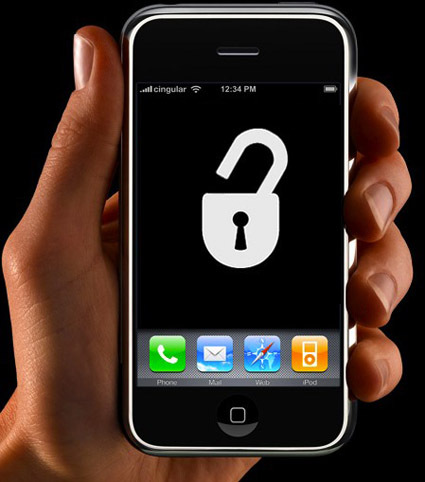 Looking to jailbreak and/or unlock your iPhone 2G, iPhone 3G, iPhone 3GS, or iPod Touch? You have come to the right place! Jailbreaking is accomplished by using programs such as ‘redsn0w’ (listed below). Once you do jailbreak however, it is not permanent. At any time you can restore your iPhone/iPod Touch to factory defaults and return the device back to ‘normal’. However until you do the restore, your device will stay jailbroken. Also, it goes without saying that this voids your warranty, but when you restore to factory defaults, the traces of jailbreaking are usually cleaned up. 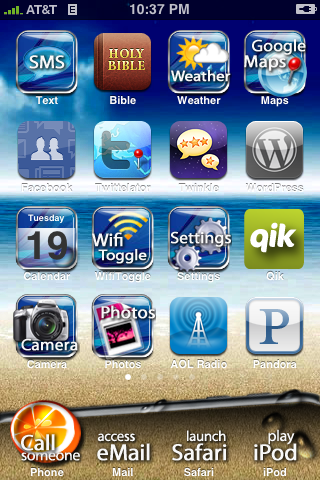 If you want to know more about Jailbreaking, you can read all about it here. The wireless carriers in Canada, such as Rogers and Fido, put “carrier locks” on their devices. What this does is prevent you from using the device on another wireless network. For example, you cannot take a Rogers device and put a Fido SIM card into it and vice versa. Using similar methods to jailbreaking, one can unlock their iPhone. This allows you to “free” your device and allows the user to put any SIM card into the device. For example, if you unlock your Rogers iPhone, you can now put a Fido SIM in, or AT&T or O2 or whoever. Unlocking is accomplished by using programs such as ‘ultrasn0w’ (listed below). Once you do the unlock however, it is not permanent. At any time you can restore your iPhone to factory defaults and return the device back to ‘normal’. However until you do the restore, your device will stay unlocked. Also, it goes without saying that this voids your warranty, but when you restore to factory defaults, the traces of the unlock are usually cleaned up. If you want to know more about Unlocking, you can read all about it here. – Your iPhone/iPod Touch must be updated to firmware 3.1.2 via iTunes before beginning this process. – For users that already have a jailbroken device and want to keep their jailbroken apps, before you begin the process below, download “AptBackup” from Cydia and back up your jailbroken apps. Now connect your device to iTunes and backup your device using the iTunes backup process. After you do the jailbreak process below, redownload AptBackup from Cydia and plug your device into your computer. Using AptBackup, restore your apps. – If you are already jailbroken and/or unlocked and have problems with WiFi, GPS or Youtube, click here. 1.) Plug your iPhone into iTunes, do a backup and then click “Update” to install firmware 3.1.2. After the update, eject your iPhone from iTunes using the “eject” button and close iTunes. Leave your iPhone connected to your computer. 2.) Click on the PC or Mac links to download Blackra1n for PC or MAC. Save the file to your computer desktop. 3.) Locate the downloaded file “Blackra1n” and double-click on it. 4.) Your iPhone will now enter into Recovery Mode. If iTunes opens, simply close it. 5.) After the reboot, Blackra1n will indicate that your iPhone has been jailbroken. Click “OK”. You can also close Blackra1n now if it is still open. 6.) Once at your iPhone home-screen, go to Settings > WiFi and turn on WiFi. 7.) On your iPhone home-screen, you will see a new Blackra1n icon. Tap on it. 8.) When Blackra1n opens, tap on Cydia (or Rock) and tap “Install” in the top right corner. 9.) Cydia (or Rock) will now be visible on your iPhone home-screen. Your iPhone is now Jailbroken. 1.) On your iPhone home-screen, tap on the Blackra1n icon. 3.) Cydia will prompt you for updates. Tap on “Complete Upgrade” and install them all. 4.) In Cydia, search for the app “BootNeuter” and install the app. 6.) When the settings match the above image, tap on “Flash” in the top right corner. The iPhone 2G will now be unlocked. Note: You may go back into the Blackra1n app on your home-screen and use the Uninstall toggle to remove the Blackra1n app from your home-screen. This does not affect the jailbreak or unlock. 2.) Click on the PC or Mac links to download Blackra1n for PC orÂ MAC. Save the file to your computer desktop. 2.) In the Blackra1n app, tap on “Sn0w”. Your iPhone will now be unlocked. 3.) In Cydia, tap on the “Manage” tab at the bottom. 4.) Tap on the “Sources” button. 5.) Tap on the “Edit” button in the top right corner of the screen and then tap the “Add” button in the top left corner. 6.) Type in http://www.blackra1n.com and then tap “Add Source“. 7.) Now tap on the “Done” button in the top right corner of the screen. 8.) Tap on “blackra1n” from the “Sources” List under the “Manage” tab. 9.) Select “blacksn0w” from the list of packages and then tap “Install” in the top right corner of the screen and then tap “Confirm“. 10.) After the unlock is installed, tap on “Return to Cydia“. Your iPhone is now unlocked. 1.) Plug your iPod Touch into iTunes, do a backup and then click “Update” to install firmware 3.1.2. After the update, eject your iPod Touch from iTunes using the “eject” button and close iTunes. Leave your iPod Touch connected to your computer. 4.) Your iPod Touch will now enter into Recovery Mode. If iTunes opens, simply close it. 5.) After the reboot, Blackra1n will indicate the your iPod Touch has been jailbroken. Click “OK”. You can also close Blackra1n now if it is still open. 6.) Once at your iPod Touch home-screen, go to Settings > WiFi and turn on WiFi. 7.) On your iPod Touch home-screen, you will see a new Blackra1n icon. Tap on it. 9.) Cydia (or Rock) will now be visible on your iPod Touch home-screen. Your iPhone is now Jailbroken. Note: You may go back into the Blackra1n app on your home-screen and use the Uninstall toggle to remove the Blackra1n app from your home-screen. This does not affect the jailbreak. 1.) Open iTunes and plug your iPhone 2G/3G/3GS or iPod Touch in via the USB. Backup your iPhone/iPod Touch if iTunes allows you to. 2.) When iTunes recognizes the iPhone/iPod Touch, click on the “Restore” button in iTunes. This will restore your iPhone/iPod Touch with fresh 3.1.2 firmware. 3.) After the restore is complete, iTunes will prompt you to Set up a New Device or Restore from Back Up from an existing backup (the backup from step 1). Choose which ever method you want and let iTunes process. 4.) After the processing is complete, your iPhone/iPod Touch will be loaded with the fresh 3.1.2 firmware or loaded with your back up that you may have chosen. 5.) Eject the iPhone/iPod Touch from iTunes using the “eject” button and disconnect the USB cable from the iPhone/iPod Touch. Turn the iPhone/iPod Touch off and then turn the iPhone/iPod Touch back on. So far I have successfully jailbroken my iPod Touch 2G and jailbroken/unlocked my iPhone 2G and iPhone 3G. If you follow the steps above, you will have success.